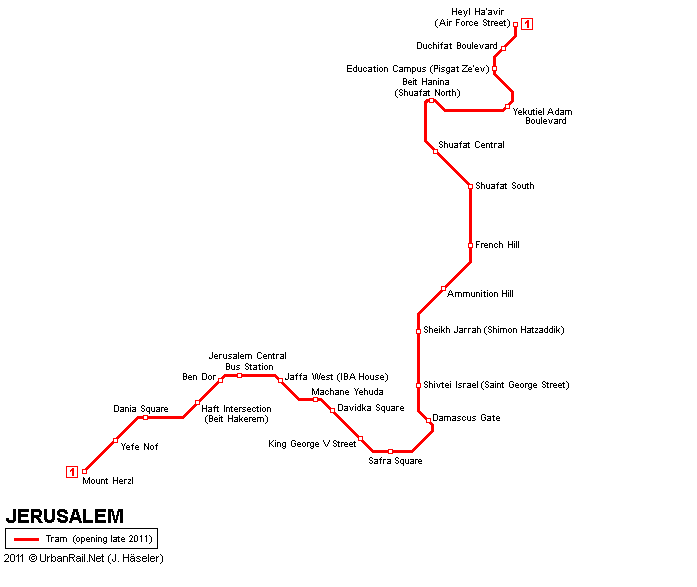 Several years ago I wrote a series of articles on the launch of the Jerusalem light rail. We looked at safety issues, business on Jaffa street, ticket buying confusion and also how Arab residents felt about it. At the time I asked City Pass officials and planners involved with the project, what the contingency was in case of rioting and destruction. They brushed off my questions at the time, I recall clearly the meeting at ‘Binyan Klal’, “that wouldn’t happen”, and “it isn’t even an issue”. It was astonishment that someone might even pose this question. Similarly Palestinians interviewed in Beit Hanina and Shua’fat didn’t think that rioters would destroy a train that services them; even if they admitted privately that there might be “issues” with Jewish residents from Pisgat Zeev or stoning of the cars if there were tensions. 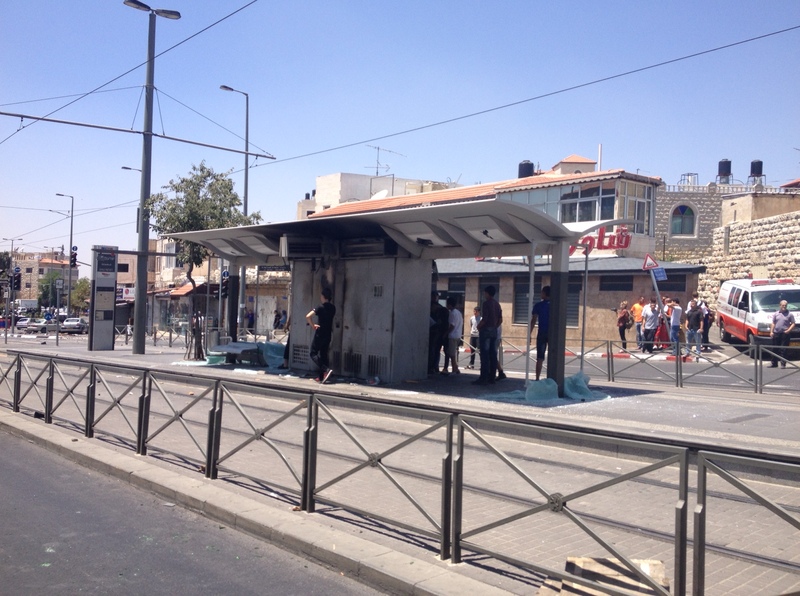 The general consensus was that residents could tell the difference between Israel and the need for public transport. Outside voices, such as “internationals”, had complained the light rail was one more part of Israel’s “apartheid” or “colonization” of Jerusalem. Some Arab residents did feel that the building of it cemented Israel’s hold over the area; but also felt transportation needs trumped politics and they felt it would be worse to have been ignored. 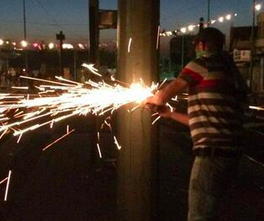 Now it has come full circle with riots on July 2-4; first a station torched, and then tracks damaged on the 3rd and now tonight someone is shown cutting down the electric pylons. A list of my articles on the Light Rail. May I simply say what a comfort to discover somebody that truly knows what they are talking about online.